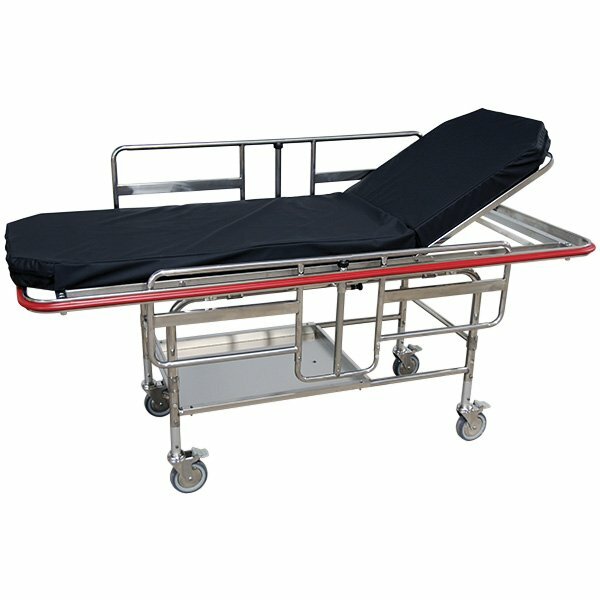 This Heavy Duty MRI stretcher has a 600 lb weight capacity and made of stainless steel construction. MRI Conditional to 3-Tesla. 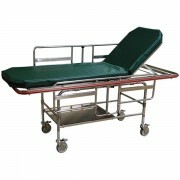 Features flip-down side rails. Non-marring bumper pads. Four locking casters and 22" x 31" storage tray below. . 2 year warranty on the frame. Available in Green or Black pad. Black is default color if no choice given at time of order.